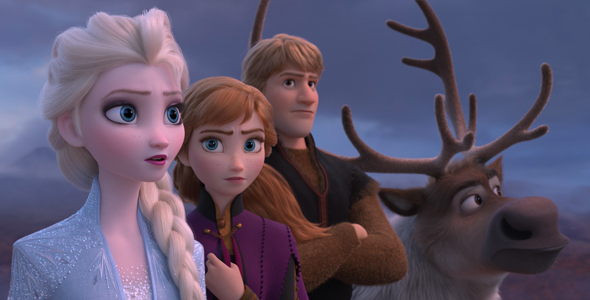 Ten months ahead of its release, Disney has given Frozen fans a glimpse into what they can expect from the sequel, Frozen 2, by releasing the first teaser trailer. A release date for the film in UAE cinemas has also been given as Thursday November 21, just in time for Christmas. It’s been a long time coming for Frozen fans, with the release of the second film almost six years to the day after the Oscar-winning original, which came out on November 19, 2013. Although the first teaser doesn’t give much of the plot away, Frozen 2 will see Idina Menzel, Kristen Bell, Jonathan Groff and Josh Gad, all reprise their roles as Elsa, Anna, Kristoff and Olaf. The film will also see the return of the the Academy Award-winning team of directors Jennifer Lee and Chris Buck, and producer Peter Del Vecho. The original Frozen became the fifth highest-grossing film in box office history and the highest-grossing animation ever made. Its DVD became Amazon’s best-selling children’s film of all time.